This was the sentiment of 60-year-old Ester Isberto regarding the reparations and compensation for human rights victims of Martial Law. She and her husband were political detainees during the period. She remembers vividly how their house was raided on Nov 10, 1977. She went through different kinds of torture until she was released in 1978. Her husband suffered longer as he was released 3 years later in 1981. 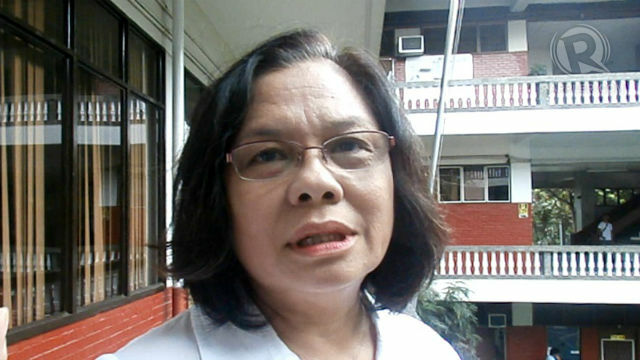 Despite this, she considers herself lucky compared to other Martial Law victims. “I’m still alive and I reached 60 years old, which I never thought I’d reach. Many of us just disappeared and got killed and we don’t even know where their graves are until now,” she added. When asked about the biggest sacrifice she and her husband made during Martial Law, she answered with teary-eyes and a shaky voice. “We opted to take the road less taken. We opted to fight against the very unjust government…These people who went through prison before were not paid,” she said. Despite their sacrifices, Isberto and her husband have not received a single centavo from the reparations owed them. They are only two of the thousands of Martial Law human rights victims claiming reparations. On Friday, August 2, different rights groups and government officials discussed the reparation for Martial Law victims in the Commission on Human Rights (CHR) 2nd Martial Law Kapihan session. Former Albay Rep Edcel Lagman, who authored the Human Rights Victims Reparation and Recognition Act of 2013 (RA 10368), said the law is ready but it has not been implemented yet. “RA 10368 is an extremely good law. But it will degenerate into an unfortunately dead law if it is not implemented soon,” Lagman said. Lagman added it has been 5 months since the bill was signed into law by President Benigno Aquino III. No actions have been taken, however, because the claims board chair and members have not yet been appointed. “Walang mangyayari sa ating batas kung hindi manunungkulan ang claims board. Sa ilalim ng ating batas kapag na-organize lamang ang claims board will the implementing rules and regulations be prorated,” Lagman added. Lagman called for the collective action of the different groups to help expedite the appointment of the claims board. “It is our duty to help the President choose the claims board. Only those who are qualified and competent should be included in the board,” Lagman said. Lagman noted that there are currently two kinds of Martial Law claimants. The first are the plaintiffs or those who filed the case. The second are the victims recognized by the court. Lawyer Rod Domingo Jr, who defended the case of human rights victims in the Hawaiian Court, said there is good news in their struggle. On July 18, lead counsel Robert Swift announced a US$10 million settlement over an artwork owned by former First Lady Imelda Marcos. This means the victims will receive an additional $1,000 each. “We are expecting it to be distributed by early next year,” Domingo said. Domingo noted, however, that only the 7,526 claimants, who have benefited from the ruling of Judge Manuel Real of Hawaii, will receive the additional reparation. The same group also received $1,000 in March 2011. There were initially 9,539 claimants for the case. 2,000 of them, however, were taken out of the list due to their failure to fulfill requirements. Domingo said the list will be able to accommodate more claimants once the law is implemented. Domingo said that at least 60% of the victims have already passed away. He added that relatives of victims may also claim the reparations. Lagman noted that the fight for justice during Martial Law is a continuing effort. “When the last of the claimants are rewarded, when the people behind the atrocities are punished, and when another Martial Law is not possible, only then will our task be completed,” Lagman said. Isberto, on the other hand, expressed her disappointment about the Marcoses still being in power. “They’re back…Why is it that in other countries, people really go after the dictators. But here, they’ve come back with full powers,” she pointed out. She maintained, however, that she still believes that the justice they deserve will be given to them. “This entire process of what we’re going through is an improvement. It’s a step forward. People who have gone through a lot are being recognized,” she said.